Peter Waddington at the controls of Seneca GURW during an engine shut-down training exercise. 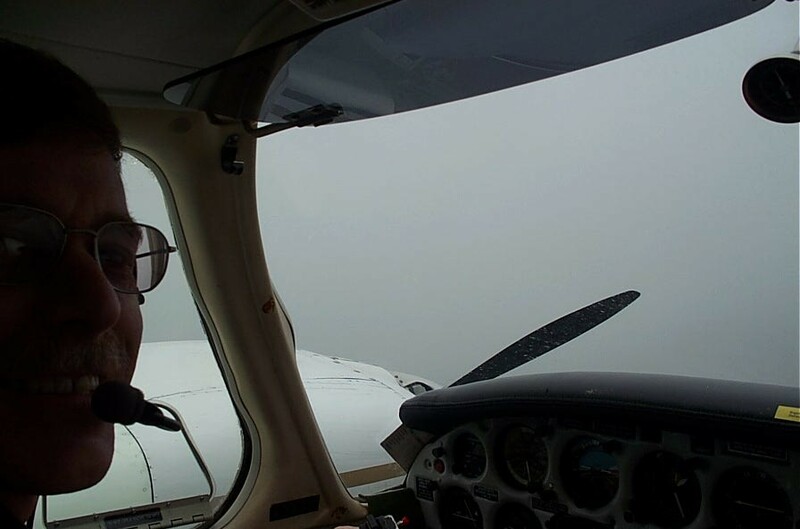 Peter successfully completed his Multi-engine Class Rating Flight Test on May 10, 2008 with Pilot Examiner Matt Edwards. Congrats also to Peter's Multi-engine Instructor, David Parry.